The Ebricks.com Whirlpool Tubs guide offers information about companies such as Neo-Metro and Jacuzzi. 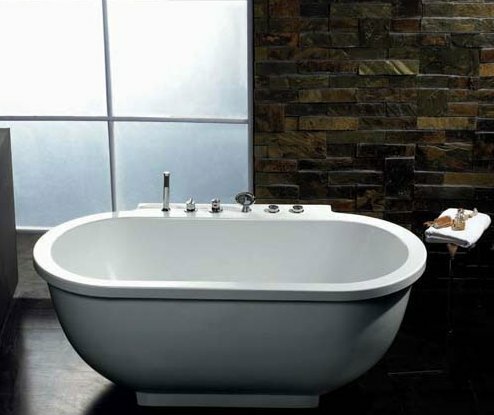 Based in Pennsylvania, this firm manufactures high-end, custom-build whirlpool baths. Site includes PDF brochures of its offerings. This company markets its whirlpools as being pipeless - an innovation, it says, that eliminates places where residues can collect, and where harmful bacteria might breed. Company also claims its products and less noisy, and less prone to breakdowns.